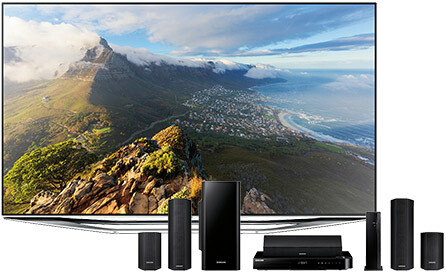 on home theater purchases $799 and up when you use your My Best Buy® Credit Card. Plus, if you purchase Geek Squad® home theater services such as TV mounting, installation or a protection plan, those service purchases count toward the $799 total. Interest will be charged to your account from the purchase date if the purchase balance is not paid in full within 24 months. Free delivery* on TV purchases 51" and larger. We'll deliver your TV to the room of your choice. We'll also haul away a TV for $19.99 when your replacement product is delivered. on your first day of purchases, or choose flexible financing, when you are approved for the My Best Buy® Credit Card. *As of the last 30 days, My Best Buy®, Magnolia™ & Pacific Sales™ Credit Card Purchase APRs: variable 25.49%–30.24%, non-variable 9.00%–24.34%, Min. interest charge up to $2; My Best Buy Visa® Purchase APRs: variable 12.99%–30.24%; non-variable 9.99%–20.24%, Cash APRs: variable 28.24%–30.24%, non-variable 24.49%–26.24%; balance transfer fee is the greater of $15 or 5% of the amount of each transfer; cash advance fee is the greater of $10 or 5% of the amount of each cash advance; Min. interest charge up to $1; Annual Fee: $0–$59, based on creditworthiness. On approved purchases on the My Best Buy Credit Cards issued by Citibank, N.A. Min. Payments required. Easy Replenish™ purchases excluded. Geek Squad® purchase must be associated with qualifying product(s). *Get 2.5 points per $1 spent (5% back in rewards) on qualifying Best Buy® purchases when you choose Standard Credit with your Best Buy Credit Card. If you apply and are approved for a new My Best Buy® Credit Card, your first day of purchases on the Credit Card using Standard Credit within the first 14 days of account opening will get an additional 2.5 bonus points (an additional 5% back in rewards, for a total of 10%). Points are not awarded on promotional credit purchases. Some products purchased at Pacific Sales® Kitchen & Home Stores are not eligible to get My Best Buy Rewards. Due to security requirements, online purchases may be ineligible for offer if credit card application is made in-store. May not be combined with other My Best Buy offers. Does not include tax. Additional limitations may apply. Subject to My Best Buy Program Terms. Subject to change without notice.